In the simplest terms, insurance scores (sometimes referred to as insurance credit scores) are ratings. These ratings are calculated and utilized by insurance companies. The long and short of the definition boils down into something relatively simple; an insurance score represents the probability that an individual will file an insurance claim during the time they’re covered by that company. Insurance scores are based on your credit rating. Insurance companies also utilize property claim databases, auto accident history information, and other tools to determine the score that they give you. Insurance claim and profitability data will be brought into the fold during the decision-making process to, ideally, give your insurance company a clear picture of your reliability. More than anything, insurance scores are intended to be tools that allow your insurance company to statistically predict risk. They want to know how likely it is that they’ll need to hound you for payments or that you’ll file a claim. These things impact their bottom line– it’s understandable that they’ll want an idea of the risk they’re taking on clients. 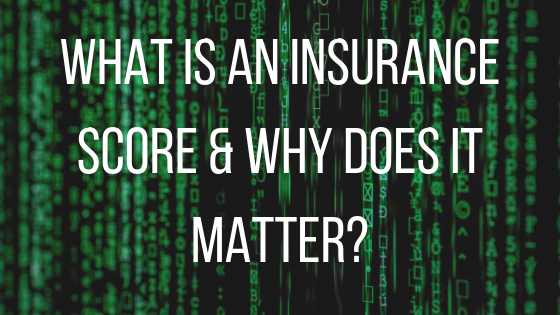 Why Do Insurance Scores Matter? Your insurance score will directly influence the premiums that you wind up paying for health, auto, life, and homeowners insurance coverage. Higher scores mean lower premiums; lower scores mean higher premiums. Even small differences in premiums can add up to a substantial price tag over time. Your insurance score can range from a low of 200 to a high of 997. Generally, insurance scores that are 770 or greater are seen as ideal; poor scores encompass those below 500. Insurance scores generally apply to home and auto insurance. This means that they have a direct impact on how much you pay to keep two of the most valuable things (monetarily) in your life protected; if that’s not serious, what is? Some companies do use insurance scoring for health and life insurance policy pricing, as well. Everybody experiences scenarios that are out of their control; and sometimes, these scenarios can lead to a low insurance score. In some cases, these issues can’t really be fixed. One great example of this is a short credit history. If you’re young or got into the credit game later on in life, you’ll be contending with time when your insurance company starts the scoring process. In other cases, there are steps you can take to clean up issues and boost your insurance score. It’s always a good policy to make mortgage, loan, and credit card payments on time. This shows that you’re trustworthy and has a direct, positive impact on your credit score. If your utilization on your available lines of credit is creeping up, you’ll need to come up with a plan of attack to cut down on debts in order to raise your insurance score. While few of us have much of a choice regarding whether or not we file insurance claims, it’s worth mentioning that those who file no (or few) insurance claims tend to have better insurance scores. This is something that’s difficult to avoid; however, it’s a factor that you may want to keep in mind. Whether you’re “on track” in this aspect or not, making a conscious effort to live your life a little more carefully might save you some cash on premiums down the line. 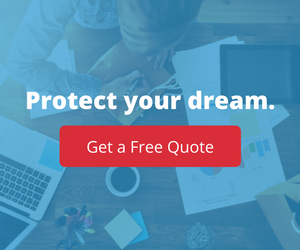 If you’re interested in learning more about securing insurance coverage and which solutions are best for you, contact us today. Our expert team will be glad to address your concerns and begin creating a roadmap to ample coverage that keeps you, your loved ones, and your property protected.